OK. Yes, Yes, Yes it was us! 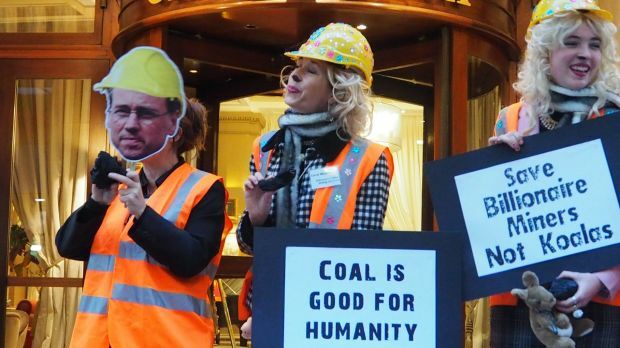 We free-market-liberationist Coal Diggers did it ALL! And LIED! …As is our democratic right when it comes to profiteering. And haven’t we made a killing! That’s how we can afford so many minion politicians. So, moving on. 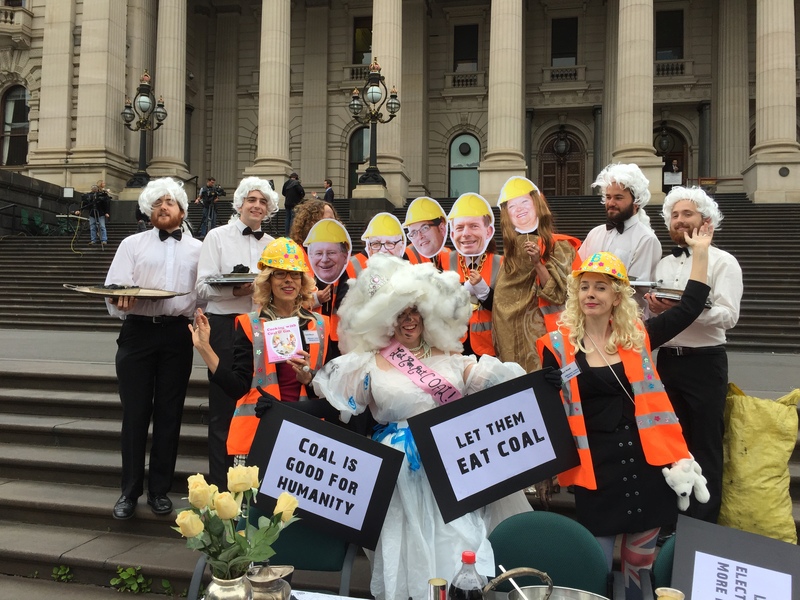 To capitalise on what’s left before the global climate & economy melts down, and in keeping with our democratic principles, we’re including you ALL as stars in our epic Game of Coal serial adventures (think Psycho meets The Road). So don’t be ungrateful. Trust us to entertain you. We’ll mine your emotions too. Surely, you’ll feel exposed as the depths to which Australia has punched above its global tonnage are unveiled! Still not sure Bébes? Good grief, just take a look at the Barrier Reef! 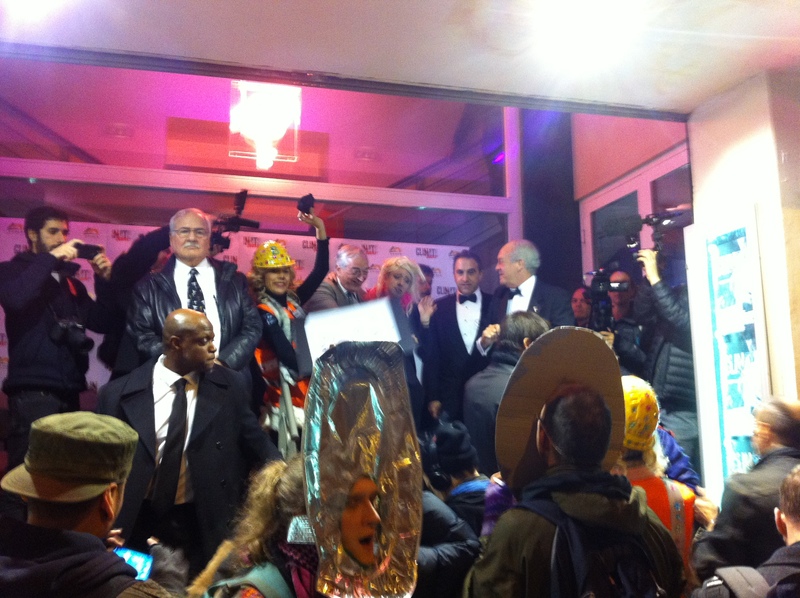 And in case you missed it, here we are hobnobbing with Lord Monckton – what a sweetie precious that man is! 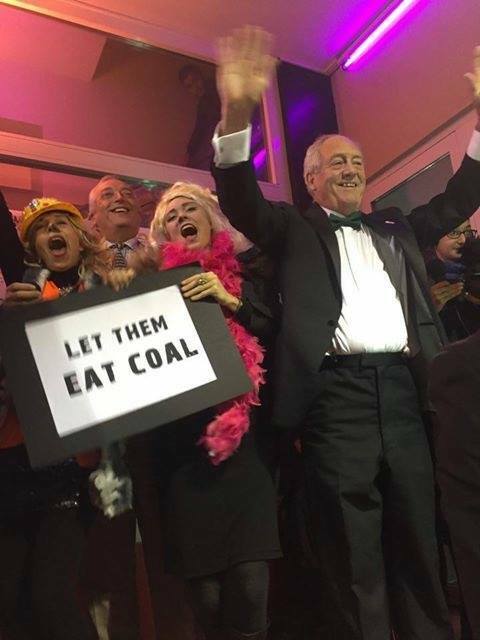 And at the world premiere of ‘Climate Hustle’ and our fellow BUMS™(Billionaires United Mining Services) from the Heartland Institute’s counter-COP21 conference at the swanky, aptly named Hotel California in Paris! Naturally we’d like to humbly, gratefully acknowledge the relentlessly uninhibited succour of the Institute of Public Affairs (IPA, aka the Coalition) for funding our team of ‘Expertants’ (aka industry consultants) from the Flat Earth Institute. You know the old guys, the medieval astronomers headquartered in the Cayman Islands? 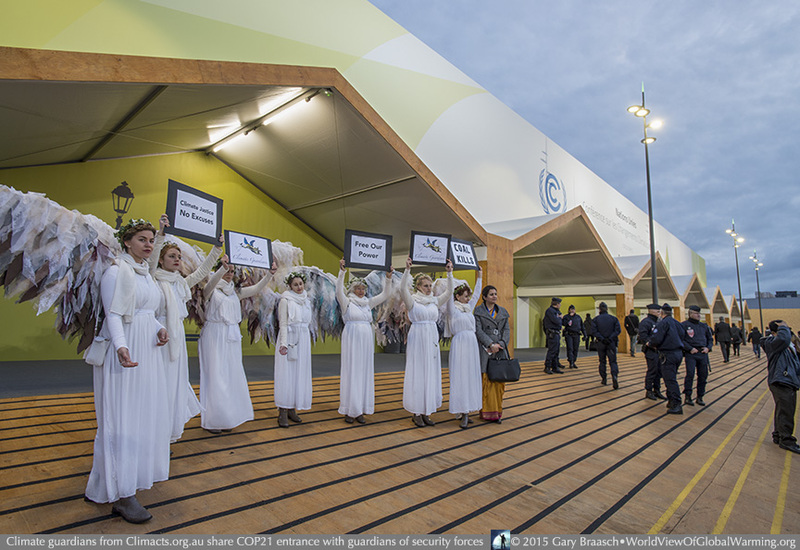 Climate Guardians at the COP21 entrance at dawn on the first day, reminding delegates of their duties — while civil guardians of the event security team stand watch also. 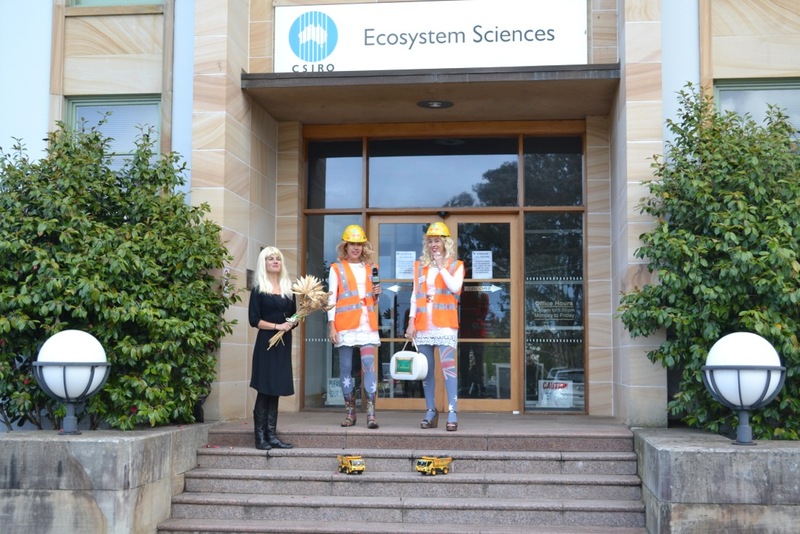 One of them pictured is a 75 year old mother of five, grandmother of eight and a great-grandmother of three children as well as the first person in Australia to have been arrested for taking direct action against gas fracking.